BISHKEK -- Kyrgyz citizens who want to learn more about Islam but speak little or no Kyrgyz now have, for the first time, a Russian-language resource on TV to help them. Although 25 years have passed since the Soviet collapse, fluency in Kyrgyz is still far from universal, especially among members of ethnic minorities. To help them gain knowledge, the programme "100 Questions About ..." has been on the air since last autumn. The programme airs every Friday at 10:05pm. It's meant to educate the public on religion and to help fight extremism, Bishkek-based civic leader and TV broadcaster Assol Moldokmatova told Caravanserai. She developed the idea for the programme. Producers intend to launch a Kyrgyz-language version of the show soon, though their plans are not yet concrete. The programme provides an educated interpretation of Islam and already has gained widespread attention, Moldokmatova said, calling Islam a "hot-button issue" at a time when terrorists misuse the religion to justify their crimes. Viewers will obtain "reliable information from theologians and the clergy", she said. "Our [Central Asian] countries, particularly Kyrgyzstan, are threatened by radical infiltration or small-scale terror groups." The involvement of al-Qaeda, the "Islamic State of Iraq and the Levant" (ISIL) and al-Nusra Front, now known as Fateh al-Sham Front, in Syria and Iraq could spread into a global conflict, she said. "We see how radicals hide behind Islam ... while beheading prisoners of war and committing mass executions," she said. "Extremists discredit all Muslims and Islam. We are bound to defend Islam ... from distortions." A programme that educates the public on religion is a powerful tool against radicalism, she said. "We should take a comprehensive approach against extremism," she said. "We can educate people from TV screens, but inviting others to open their hearts ... is much deeper." "Extremism prospers where ignorance and incivility thrive but frays in the face of education," she said. Moldokmatova said she is paying the costs of the programme herself, while NTS (New TV Network) provides technical and other support. However, the TV show is not a one-woman effort. The International University of Science and Business in Bishkek helps gather information and polls Kyrgyz citizens for the broadcast. Bishkek-based theologian Kadyr Malikov serves as the religion expert for the show. Like Moldokmatova, he sees a need to combat extremism through education, as accurate information on religion is not always available. "The show is structured as a question-answer programme," he said. "The questions are drawn from real life ... Starting from simple questions, we try to delve deeper into the essence of Islam and send viewers down the right path." A new series of episodes is coming in February, Malikov said. "We target all ages and social classes," he added. Favourably impressed viewers include Bishkek businessman Erkin Muratov, who said the programme was eye opening. "I'm what you would call a Russian speaker," he said. "Even though I'm ethnically Kyrgyz, my Kyrgyz is only conversational." He said the language barrier hinders his attempts to learn from imams. "The bulk of them have a poor command of Russian and don't understand my conversations with them." "But suddenly we have a TV programme about Islam that airs at a convenient time," he said. "I'm very interested and watch with my son." "Why are our boys and girls still going to Syria?" he said. "Only because they're absolutely ignorant of religion." Aykol El Party chairman Edil Baysalov emphasised the importance of education along with other measures to counter extremism. "We should clearly realise that ... we have hundreds of citizens ready to commit mass murder and terrorism," he told Caravanserai, pointing to "what hundreds of anonymous people are writing on social media". "Only extraordinary and decisive measures will help us repel foreign invaders and future home-grown 'jihadists'," he said, urging rejection of "all displays of intolerance, extremism and attempts to incite strife". The lack of easily accessible, clear information that raises awareness about religious issues makes it easy to recruit Kyrgyz youth, warn analysts. 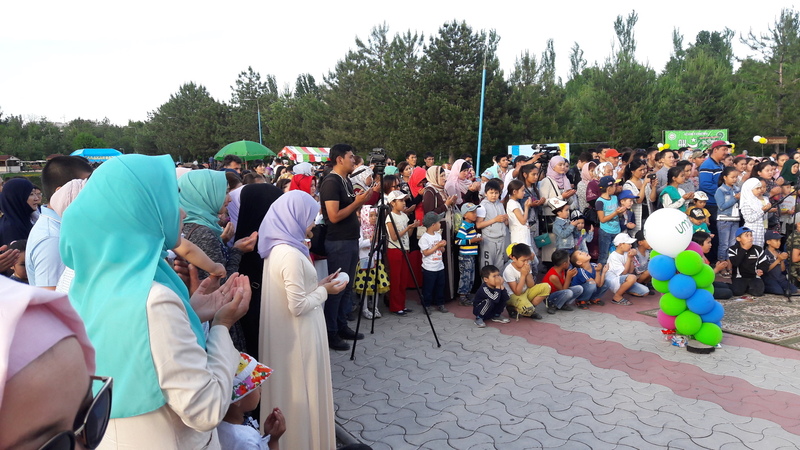 Hundreds of Kyrgyz of various ethnic and religious backgrounds assembled in Bishkek to celebrate the start of Ramadan. 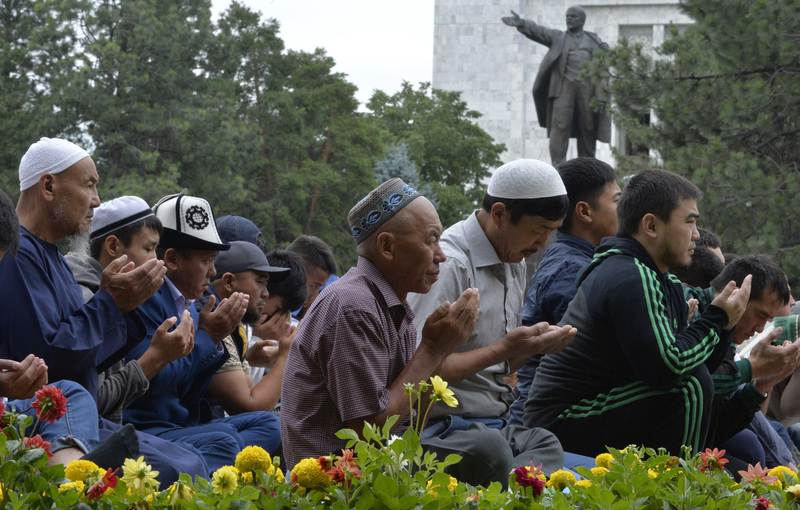 Kyrgyzstan needs to modernise its Islamic education system and undertake other initiatives to protect the nation against radicalism, say analysts.